I have to confess that this cool wet weather has seen us huddled indoors rather than on the allotment so we are very behind this year with our planting programme. But the last few days have been a bit brighter -and so the allotment challenge begins! 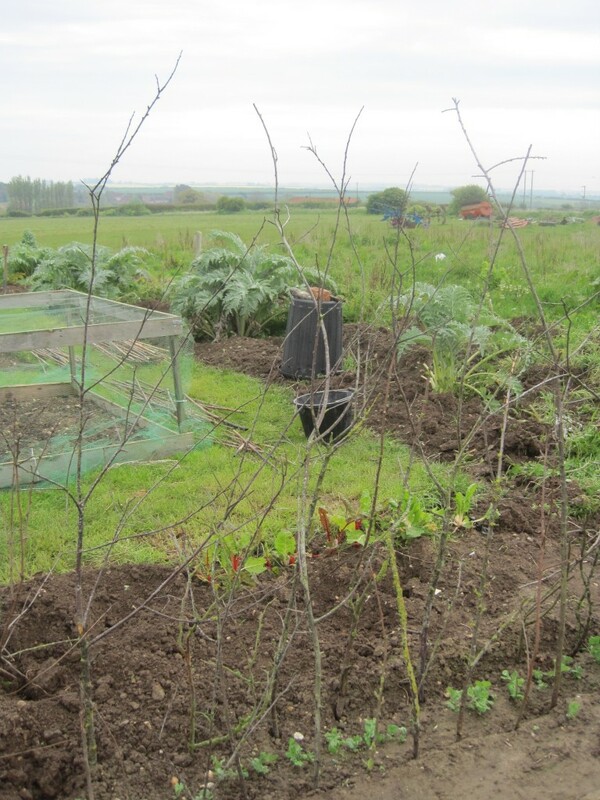 Biggest hurdle is to clear the 7 foot wide beds that surround the entire allotment. These are intended to be perennial beds and were planted last year with cardoons, artichokes, sorrel, and some roses plus some wigwams of peas and beans. The idea being to limit the amount of toil required each year by designating a good portion of the growing area to plants that spring back up each year. It looked fantastic in full flower but we made the classic mistake of leaving it all over winter – the result: a wild flower meadow of thistles, nettles and grasses over three foot high. After a backbreaking few days we are resolved – NEVER AGAIN! Whatever the weather we will cover the dormant beds with black plastic or cardboard over the winter. Less daunting are the dozen 6×6 foot beds which take up the remainder of the growing area. These are easy to maintain and with wide grass paths surrounding them, easy to access too. 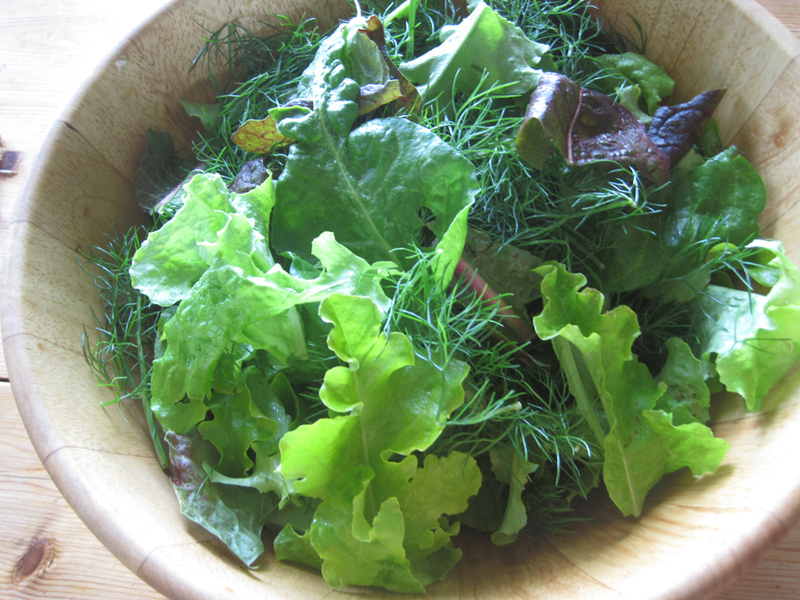 At the moment they are verdant with lettuce, fennel, radicchio and chard – plenty to provide a tasty salad bowl each day. Really fresh and a fraction of the cost of buying it in bags from Waitrose. Then there is the asparagus. Here we have had to exercise much patience. 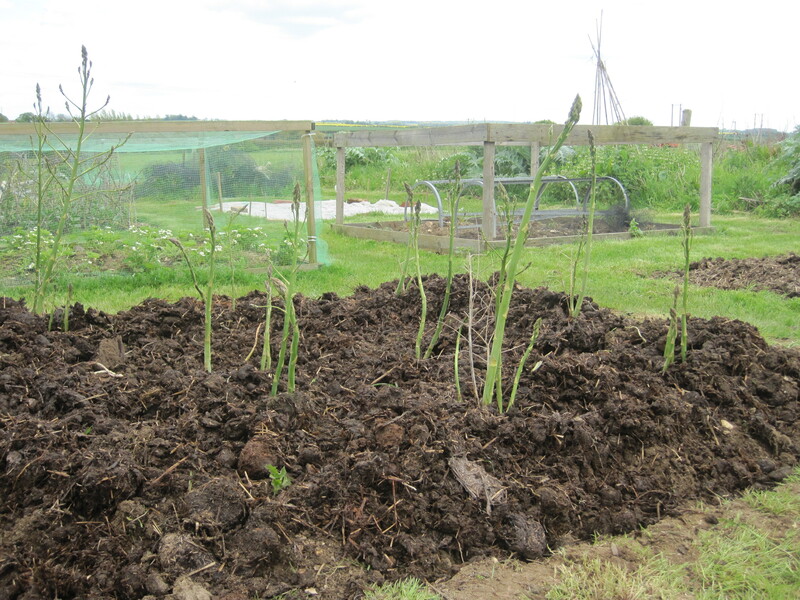 Asparagus has to be left until the third year before picking. Our second year plants have thrown up impressive shoots over two feet high. Very tempting to pick just one or two but we have resisted. 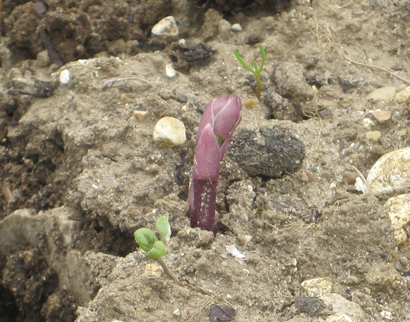 Even our new purple asparagus, planted in April are poking cheekily through and will need covering soon if they are to withstand those pesky pigeons. 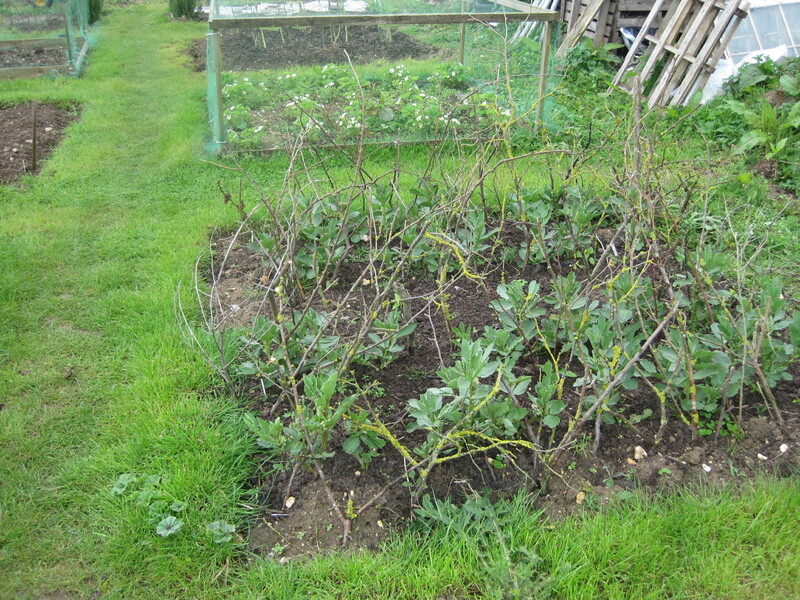 Also doing well are the broad beans – two beds planted three weeks apart. 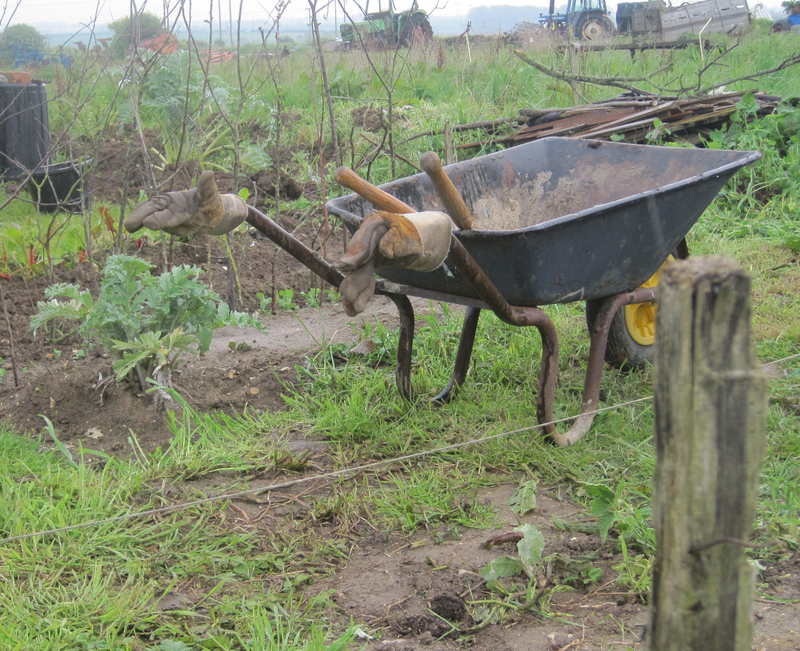 One of the first lessons we learned as allotmenteers is that it is very easy to get into the famine/feast cycle. One minute you are gazing hungrily at emerging pea shoots, say, the next minute, they’re coming out of your ears. 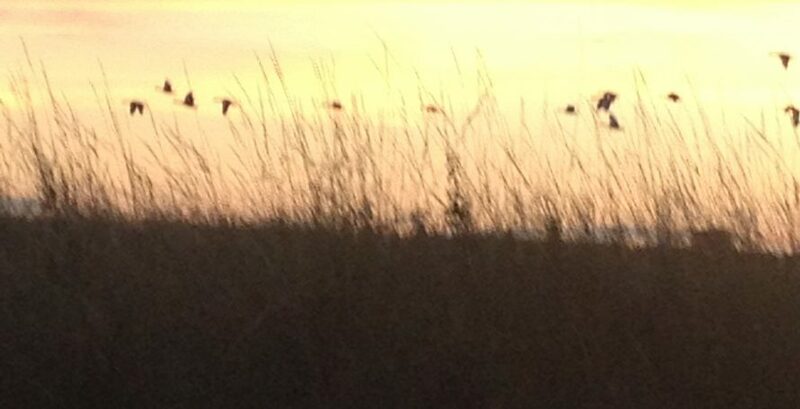 The trick is, successional sowing of smaller crops to extend the eating season. We love broad beans so will be sowing at least one more bed before May is out.